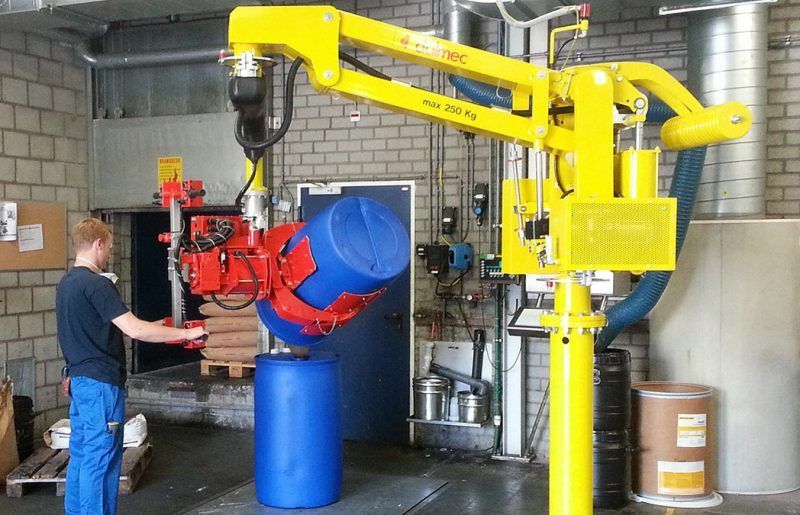 Industrial manipulators for drums type Partner, column mounted version, designed for gripping and emptying barrels, with a weight up to 400 kg. Simple to use, they allow the operator to move drums of all kinds throughout the working area quickly, accurately and safely. Dalmec Manipulators for drums are custom-built, with specially adapted design, dimensions and picking systems to suit the specific requirements of the users and the various environmental conditions available. The tooling is able to overturn of 180° the load and empty its content thanks to a pneumatic device. Dalmec Industrial Manipulators for drums, type Partner Equo, column mounted version, fitted pinch jaws tooling for and emptying drums. 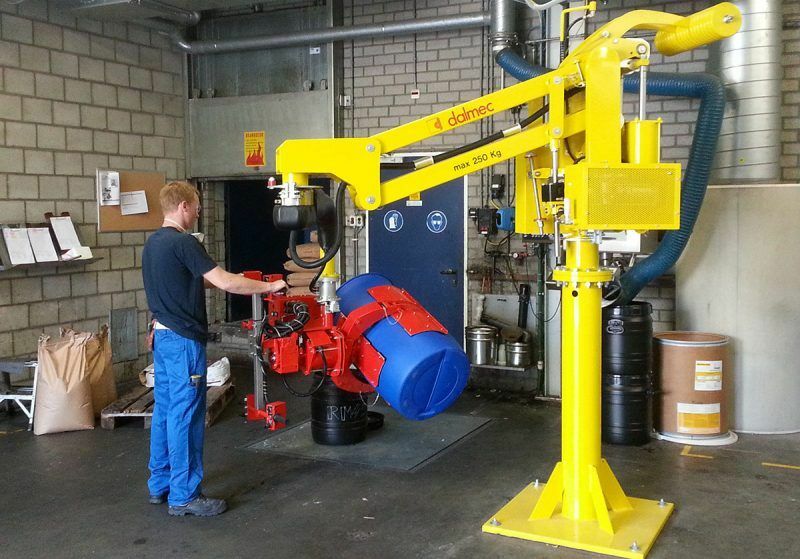 The tooling is able to overturn of 180° the load thanks to a pneumatic device. The maximum capacity of Partner manipulator is 550 Kg.